I first became familiar with American poet and writer Donald Hall a number of years ago when I discovered his wonderful book, Seasons at Eagle Pond. The Poet Laureate of New Hampshire from 1984-1989, Hall was appointed 14th Poet Laureate of the United States in 2006. He was awarded the National Medal of Arts in 2010. In this book, Hall muses about rural life in New Hampshire; there’s an essay for each of the four seasons. Every time I read it, I find myself chuckling – or nodding my head in agreement – over and over again. The way he describes the spectacular, breathtaking beauty of autumn is especially eloquent. Each morning is more outrageous than the one before, days outdoing their predecessors as sons outdo their fathers. We walk out over the chill dew to audit glorious wreckage from the night’s cold passage – new branches suddenly turned, others gone deeper into ranges of fire, trees vying to surpass each other and their yesterselves. And you looked around you in the October woods at the extended private exhibition, low pale Autumn sunlight striking through the diminishing leafy air to catch on reds and yellows of the great woods…. And everyone looked and still looks. Even people who have lived their whole lives here never become bored with this looking. Eagle Pond is a farm which had been owned by Hall’s grandfather, to which he and his wife moved in the 1970s. He wrote in an essay penned many years later that moving back to New Hampshire “for good” to his grandparents’ house had been a daydream from childhood. 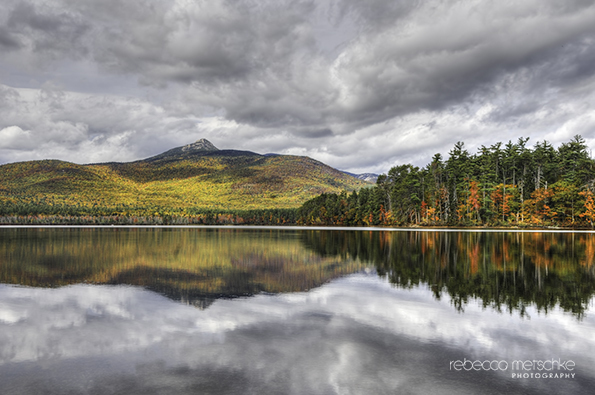 One feels his obvious love for the Granite State in the pages of Seasons at Eagle Pond. I love New Hampshire, too. Looking at its landscape – and capturing it with my camera – is never boring. I feel a deep connection to the Granite State that will never leave me. Last summer, Donald Hall passed away at the age of 89 – at that home on Eagle Pond in Wilmot. It seems fitting that his journey in this life ended there.